Shinto is a religion native to and even somewhat unique to Japan, where it has been very influential to Japanese culture for centuries. Although Shinto can be practiced by anyone, since it is so centralized around the culture of Japan, you don't see a whole lot of proselytizing from it's followers, sort of like with Jews and Judaism. As far as it's components, it’s a very nature oriented religion and at its center, aims to connect us humans with what the Shinto call “Kami”. What exactly Kami is/are can be a tricky concept to try and explain but at its essence Kami is a power or energy that is sort of a life force, kind of like “Chi”. However the term “Kami” can also refer to beings, things, or places that express that energy in a particularly impressive way or exude a great deal of it. humans and deal with the same issues such as pain and making mistakes. Some Kami are even flat out evil. Partly for of this reason, Shinto doesn’t deal much in moral absolutes since not even the Kami are perfect. are visible and some invisible. “dark world” for the bad, but many of the concepts of life after deal have been absorbed from Buddhism which many followers of Shinto also practice. 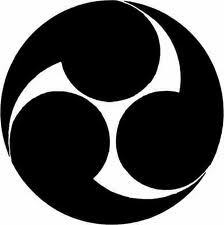 1) Mikoto- These Kami are at the top of the list as far as power goes. They hold tremendous influence over things like life and death, creation and destruction. 2) Ujigami- Some Kami are thought to be ancestors and this particular group is made up of what are thought to be founding members of different Japanese clans. 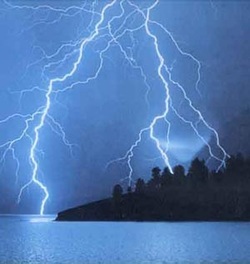 3) Nature Kami- These cover everything from powerful Kami who control things like storms and weather to less powerful spirits such as mountain spirits. 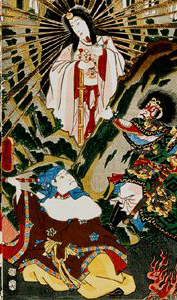 The pretty lady pictured to the left, she is traditionally known as the greatest of the Kami and her name is sometimes translated as “Sun goddess”. Benten/Benzaiten- a girl kami who is traditionally associated with music and art. Ebisu - This gentleman’s a good guy to have on your side if you want to be successful, he is known as the kami who brings prosperity. 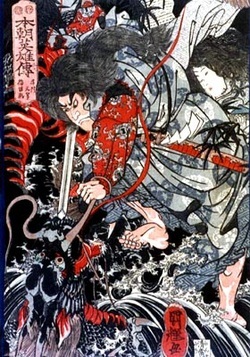 Hachiman - A sort of Shinto Aries, he is the Kami of archery and war. 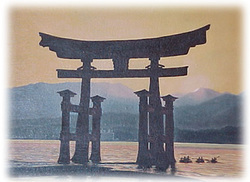 is famous for creating the land of Japan. Konpira/Kompira – A good Kami to know if you are a fisherman or sailor, he protects both of the above as well as shipping merchants. The gentleman picture on the left, he is a wind Kami who is also a diety of Buddhism. He both creates and protects from storms and other wind disasters. Tenjin - A favourite of school children, he is the kami of education who children often ask for success during tests. - has no scripture or a specific founder. kami but not to sin against them. - doesn't require followers to hold it as their sole belief system. 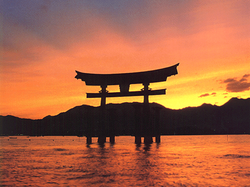 In fact many followers of Shinto are also followers of Buddhism. Shinto plays such a role in daily culture that it is not only a religion but influences everything from art and music to politics and social structure. In fact in 1868 Shinto was even made a state religion by the Emperor of Japan at the time and played a huge role in Japanese culture and outlook during World War 2. However at the end of the war, Allied Occupation Forces demanded it be revoked as the state religion though it is still widely practiced. So then what is the focus of Shinto? 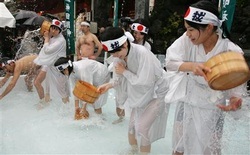 More so even that morality, the focus of Shinto is on cleanliness, harmony, and purity. Though that certainly also applies to moral purity, physical cleanliness is so emphasized that Japanese people are thought to be some of the cleanest in the world. However sometimes you can also become unclean by no fault of your own. Things that make us unclean are called "tsumi" and they can include everything from disease to being around a dead body. No worries however, because ridding yourself of tsumi can be done by going through a purification ceremony which often involves water. recognize evil and believes it to be brought on by evil spirits. harmony with the natural world, society, or groups we may belong too. The concept of loyalty is of great importance and any good follower is absolutely loyal to his family, friends, job, etc. Evil is not just bad in itself, but it is actually something that is considered a detriment to us. As mentioned earlier, closeness to nature is also a very high virtue in Shinto and closeness to nature is akin to closeness to God. 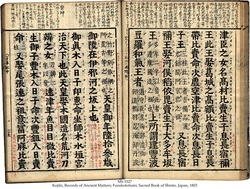 Both of these books contain collections of ancient myths and stories about the Kami such as descriptions of the creation of life as well as some of the lineage of the Kami. They also emphasize such lessons as the idea that humans and Kami are supposed to take care of each other and stress the importance of ideas like purity. The books also paint Japan as a sort of chosen land, sort of like the Jewish people are portrayed in the Torah. Though this is not necessarily a book that every follower of Shinto will own, it is a very important part of any Shinto priests collection as it outlines many of the rituals of Shinto as well as how to perform them.